We shifted our focus from rural villages to the bustling Northern town of Karonga. The streets are filled with a variety of vendors and the largest volume of cyclists I have ever seen in this country. Our informant, Hastings, led us through to the main market area as we were keen to observe, and ideally interview, businesses that sell solar in the area. The market was a labyrinth, dark and narrow save the sunlight that trickled through gaps between the iron roofing sheets. We walked past a wide range of stalls, many filled with racks of clothes, shoes, beauty products, electronics, and CDs. 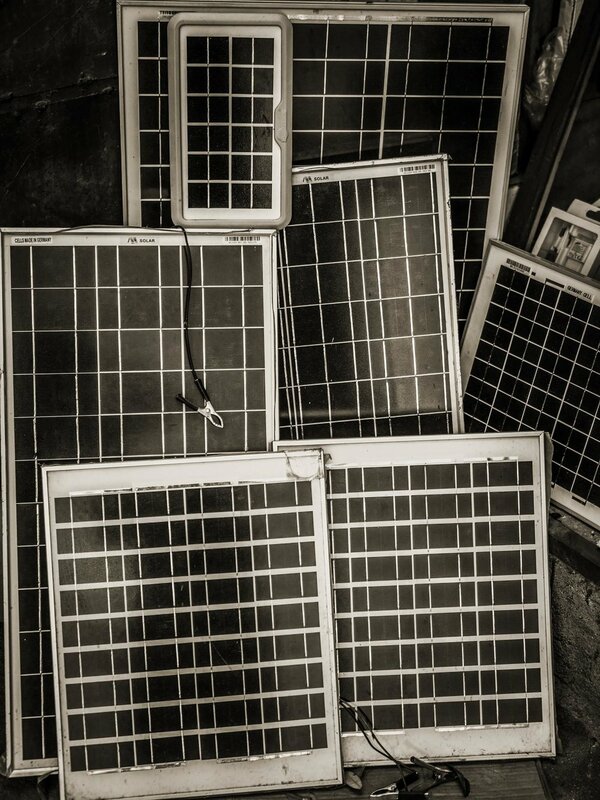 We had quite a lot of good fortune when it came to our interactions with businesses selling solar products. Though some greeted us with suspicion and turned down interviews. Some were remarkably casual about it being the norm to withhold information from customers in order to ensure sales eg whether a part would be compatible with the rest of the system. "We are here to make money" was the refrain of one shopkeeper who refused to be interviewed. Some of the bigger shops in town are owned by Chinese nationals. They can be seen slurping bowls of soup, chatting on WeChat, or playing strategy games as they sit at the cash register and occasionally conduct a transaction, issue an order to their staff (in English), or monitor them via CCTV. Business owners and sales staff who were more open to sharing their stories were open about quality being a critical challenge. We spotted many panels featuring misleading labelling such as 'German Technology' or 'German cells' when in fact they are all made in China. We discovered that there is a wide perception that German and South African products are perceived as being of high quality, a fact that several manufacturers and sellers are capitalising on. It wasn't all bad though, we encountered a few entrepreneurs that were genuinely committed to selling quality products but admitted that it was hard to do in a market saturated with low quality products and highly price sensitive customers. Along the way we also encountered businesses that salvage lead-acid batteries (which many use for solar) , as well as those that repair electronics, and harvest parts from e-waste. There is certainly a dynamism to this town. 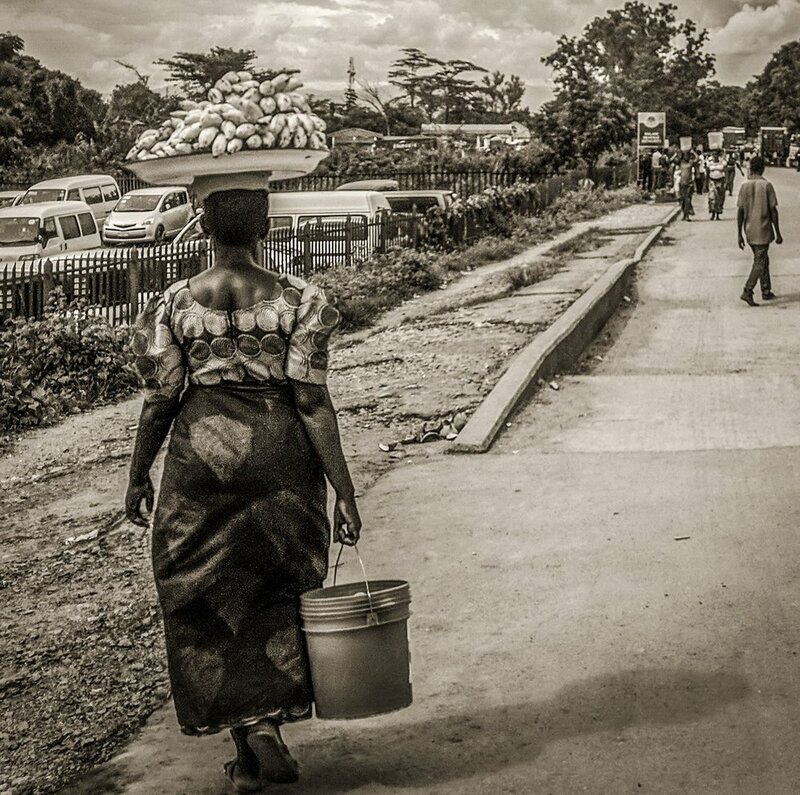 In the evening we headed over to the Songwe border, one of several entry points into Tanzania. While it is clear that there is a lot of economic activity going on, it was hard to observe anything specific to solar passing through customs. We ended the day by interviewing a few more households. It seems clear that our visits are appreciated in that they also serve as opportunities for households to ask us questions that can help them troubleshoot issues with their systems. I'm not even half way through this research yet, but it's clear that there is a multi-faceted story to solar here. From complex international supply chains, and cross-border trade (some illegal), to the responses of both urban and rural households contending with energy poverty.